Remote wireless equipment such as access points, routers and bridges often are more vulnerable to tampering and theft. This can disrupt and even cripple critical communications. A low cost weather tight solution for protecting and securing your wireless equipment is the NBP141004-10VW. 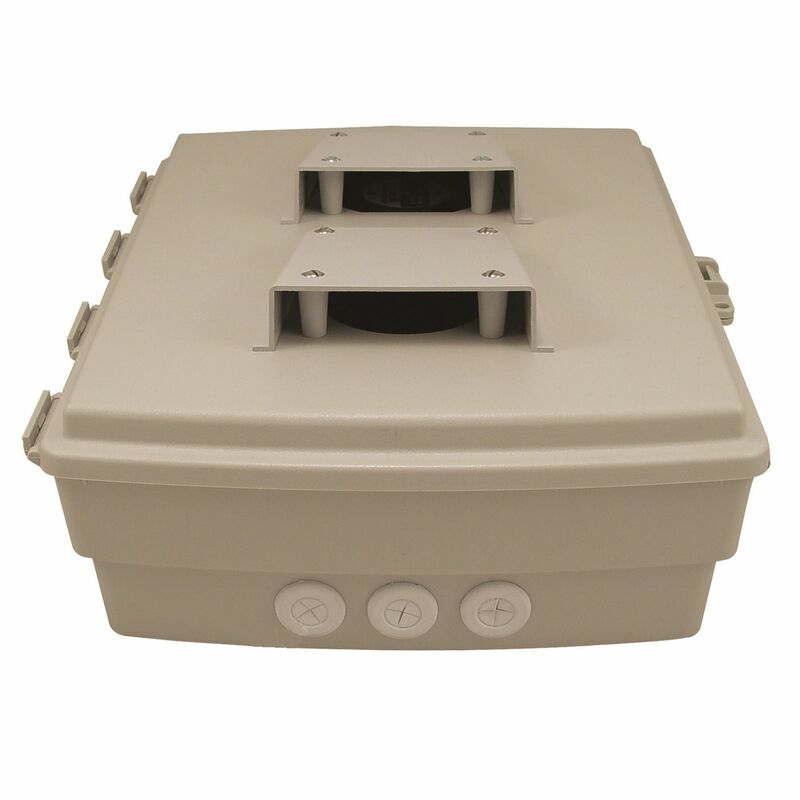 This rugged, molded composite enclosure is ideal for OUTDOOR applications requiring equipment convection cooling air. The compact size of this enclosure makes it ideal for locations with limited space requirements such as equipment panels or mobile applications. Also due to its size, the NBP141004-10VW can be used where aesthetics are important, such as in offices buildings and in public areas requiring WiFi and electronic equipment.